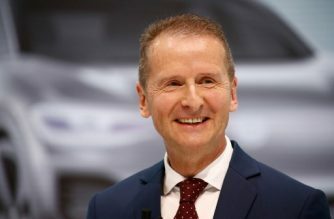 FRANKFURT, Germany (AFP) 5/31/2016 – Embattled German auto giant Volkswagen said Tuesday that it was satisfied with business in the first quarter, despite falling sales and profits, and it would stick to its targets for the whole year. 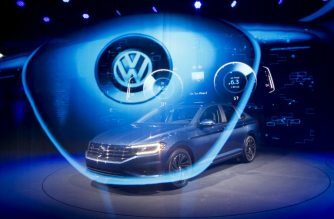 “The VW group put in a solid performance in the first three months,” the statement said. “In view of the many challenges we’re currently facing, we’re satisfied overall with the start we made into what will undoubtedly be a challenging year,” said chief executive Matthias Mueller. “We have succeeded in limiting the economic fallout from the diesel scandal and chalk up respectable results in very difficult conditions,” he said. 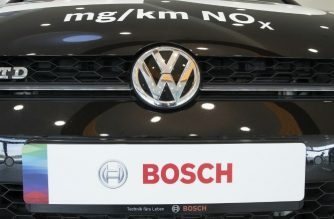 VW, currently engulfed in a massive emissions-cheating scandal, said net profit slumped by 20.1 percent to 2.31 billion euros ($2.6 billion) in the period from January to March, on a 3.4-percent decline in sales to 50.96 billion euros. Underlying or operating profit rose by 3.4 percent to 3.44 billion euros, meaning the operating return on sales rose to 6.8 percent from 6.3 percent. The number of vehicles sold edged up by 0.8 percent to 2.508 million units worldwide. The operating return on sales was projected to come out between 5.5 and 6.5 percent. 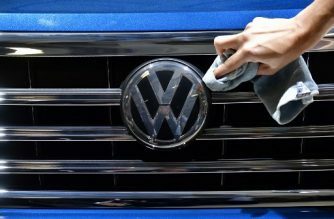 VW is currently engulfed in a global engine-rigging scandal after it was revealed last September that it had installed emissions-cheating software in 11 million diesel engines worldwide.